For most people, there is nothing like taking a steamy shower at the end of a long day to feel refreshed. However, it turns out that taking a cold shower has serious health benefits. Showers do more than just clean your body, they can help you relax, improve your mood, and protect your hair from damage. 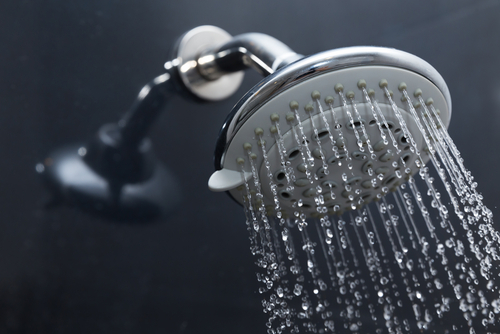 Cold showers can reduce your power and water bill, but may not sound that tempting. Here are just a few reasons why you should turn down the heat the next time you take a shower. A warm bath can make you feel sleepy and have a good night sleep, whereas taking a cold shower does the opposite. This is because the cold water shocks the body, so your heart rate increases to warm you up. The good news is that you do not need to take a cold shower every morning to see the benefits. Most times, ending your usual shower with a quick blast of cold water can increased your level of alertness for the day. There are a number of ways that cold showers can help boost weight loss. The first way is that your body burns more calories to keep you warm. This boosts your metabolism, which makes it easier for you to have a calorie deficit. A Scandinavian study found that simply adding a cold shower to your daily routine can help you lose up to an extra 9 lbs of fat over a year. However, it is unclear how many calories are burned per shower, so your results may vary. Shivering also burns calories because your muscles are trying to keep moving to generate heat. This helps focus on fat loss instead of just weight loss. It is a common belief that being cold will make you sick, but for many people this is not the case. A Virginia Commonwealth University study found that taking cold showers regularly increases the number of white blood cells you have in your body. There was also a German study done that found the people who took frigid cold showers for two minutes every day had less colds than people who took hot showers. Along with higher levels of white blood cells in the body, cold showers can help drain the body’s lymphatic system. The lymphatic system helps remove cellular waste from the body, but it regularly gets blocked by chemicals, toxins, and environmental effects. When your lymphatic system is blocked, both cell waste and dead cells build up and you are more likely to get sick. The cold water contracts the blood vessels and the vessels relax when they are warmed up. This movement helps flush the waste out of your body, reducing the risk of you becoming sick. This sounds counterintuitive as most people do not feel happy about taking a cold shower. However, a study published in the journal Medical Hypotheses found that taking a two to three minute cold shower everyday over a two week period improved the moods of participants. These findings were linked to improved overall health and improved circulation of the participants in the study. This is often noted in studies that look at the benefits of cold showers, mainly due to the fact that it is hard to stick with taking a cold shower every morning. If you can stick with taking cold showers on a daily basis, then you can really stick with anything. If you add cold showers to your daily routine, you may see improved willpower in other parts of your life. Along with improving your mood, taking a cold shower can also reduce your stress and may be a treatment for depression. Studies have shown that cold showers increase the oxidative stress on your body. This may seem like a bad thing, but the oxidative stress on your body decreases your overall stress levels. This allows your nervous system to become more able to deal with an increased level of stress in your daily life. At the same time, having a cold shower will boost the noradrenaline levels in the body. The temperature of the water stimulates the part of the brain named “the blue spot”. The more noradrenaline that is released, the more happy hormones are released. This increase in noradrenaline levels can help rebalance a person’s hormone levels, which will reduce their depression and anxiety. When your body is cold, your blood gets around more quickly and easily, which is why you are more alert after a cold shower. Both your breathing and heart rate speed up to help keep you more alert, which places more stress on your body because your heart has to work much harder in order to get the blood where it is needed. Your whole body benefits from the increased circulation as every organ gets more oxygen and has more toxins removed. The increased circulation can last for a few hours after a cold shower as the body works to raise your body tempter and stabilize it. Along with icy baths, cold showers can help boost a person’s muscle recovery process. The improved circulation created by the cold water means that the muscles get more blood flow and more oxygen, which helps the cells be repaired more effectively and quickly. The improved blood flow also means that the lactic acid build-up within the muscles can be removed effectively, so the muscles can repair themselves and begin to relax. Some people find that taking a shower with a mixture of cold and hot water is more effective for them. However, depending on the muscle and the injury, too much cold can cause more damage. Many people find that warm to hot water can help with improved relaxation, reduces the heart rate, and helps their body have more happy hormones. You can try alternating between hot and cold to see what method gives you the best results. Hot water is really bad for your hair because it strips the natural oil from the hair follicles and opens up the pores on your scalp. Studies have shown that cold water strengthens the hair follicles, so there is less damage to the hair and breakage is reduced. If you are worried about if you are really getting your hair clean, studies have found that washing your hair in cold water is just as effective as washing your hair in hot water. Acne and psoriasis are two of the skin conditions that can benefit from taking cold showers. Many people find that showering with hot water and using harsh soaps can strip the skin of its natural oils and are generally drying, which can often make these conditions worse. Studies show that having a shower in cold water does not have the same effect on the skin, so it does not worsen the skin’s condition. Many times, taking a cold shower can help reduce inflammation and reduce the appearance of redness of the skin.